One of Canada’s best known science journalists, Bob is a regular science commentator on CBC News Network, and science correspondent for CBC TV’s The National. Bob was the host of CBC’s children’s science program Wonderstruck and TVO’s children TV science series Heads Up! He is currently the host of Quirks & Quarks. Bob has been personally honoured for his contributions to the public awareness of science: 2001 Michael Smith Award for Science Promotion from NSERC, the 2002 Sandford Fleming Medal from The Royal Canadian Institute, 2005 McNeil Medal for the Public Awareness of Science from the Royal Society of Canada, completing the ‘triple crown’ of medals for science communication in Canada. In 2010, Bob was named as an honorary life member of the Sigma Xi Society, the first Canadian to be so honoured by America’s oldest scientific body. In November, 2011, Bob was made an Officer of the Order of Canada. 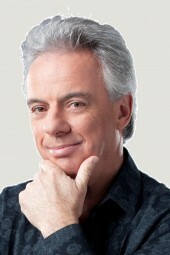 Bob McDonald has been awarded 6 honorary degrees – the most recent being an honorary Doctor of Laws degree from the University of Calgary and an honorary Doctor of Science degree from the University of Winnipeg – both awarded in June, 2010. Previously, Bob was awarded an honorary Doctorate of Science from McMaster University in June, 2008 and a Doctorate of Letters from Laurentian University in Sudbury in October, 2007.